On October 3, a credit agreement was signed between the World Bank (WB) and the Azerbaijani Ministry of Justice regarding the modernization of court and legal system in Azerbaijan, Trend reports. 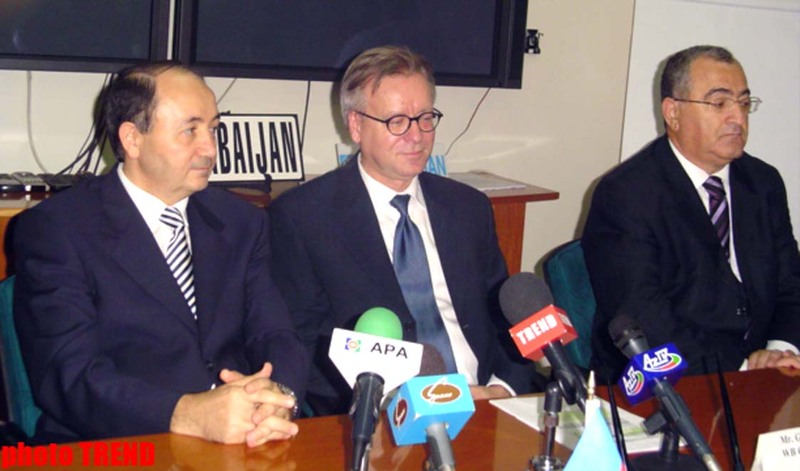 From the Azerbaijani side, the agreement was signed by the Minister of Justice Fikret Mammadov and from WB by the WB Country Manager Gregory Yedzjeyzak. According to the WB representative, the project amounts to $35.6 million, with $21.6m from the WB, $3m from Japanese Special Fund and $11m fro the Government of Azerbaijan. The project is intended for 5 years. The WB credit was presented in line with the International Development Association in accordance with standard terms for 35 years with 10 years of grace period and annual interest rate of 0.75%. Up on the completion of 10 years of grace period, the payment for the credit will begin with 1.25% and from 2026 to 2041 2.5%. establishing computerized system of management, information network and training. To increase the opportunities of the courts construction and repair of court buildings, application of contemporary technologies and computerization in the management system. To increase the professionalism of courts through trainings and regular studies. Pilot programs for civil information that improves the access of citizens to the information about the registration and notary. On 29 June 2006, the WB Council of Directors approved the allocation of the credit for the court-legal system of Azerbaijan.